In Windows Server 2008, Windows Vista, Windows 7 and Windows Server 2008 R2 – you can perform a full OS installation without having to manually enter a product key like you had to in previous Microsoft operating systems. This feature makes the installation much easier, and while Windows Server 2008 RTM and Windows Vista were “polite” about asking for the key (and you could simply ignore this polite request and promise to enter it after setup), in Windows Server 2008 R2 and Windows 7 you no longer need to have the key handy during the installation process. So where does the installation process grab the keys from? How does it know what key to enter? The answer is simple. 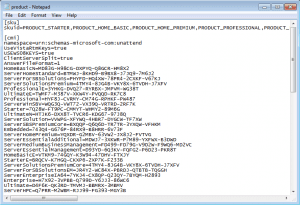 It has knowledge of all the keys that can be used, and it takes that information from a simple textual answer file that is used, by default, during the installation process. 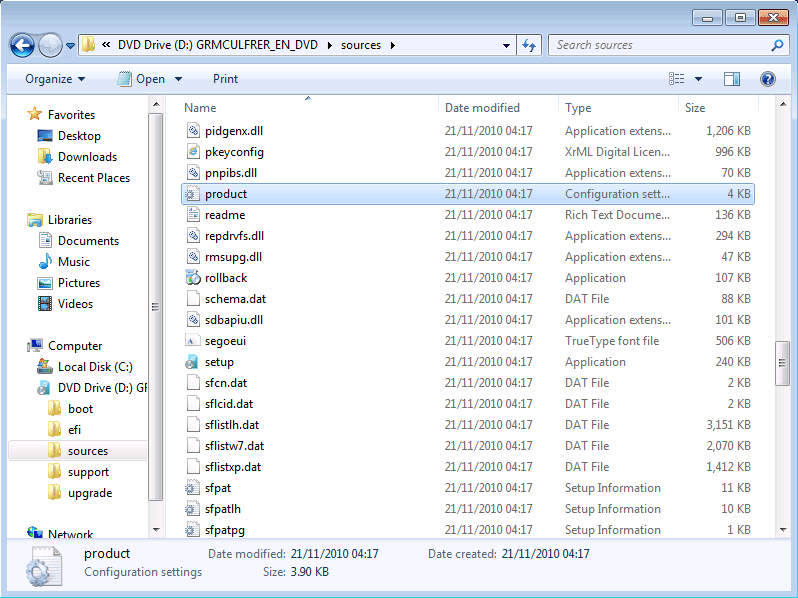 You can locate the file, called PRODUCTS.INI, in the installation DVD, in the SOURCES folder. 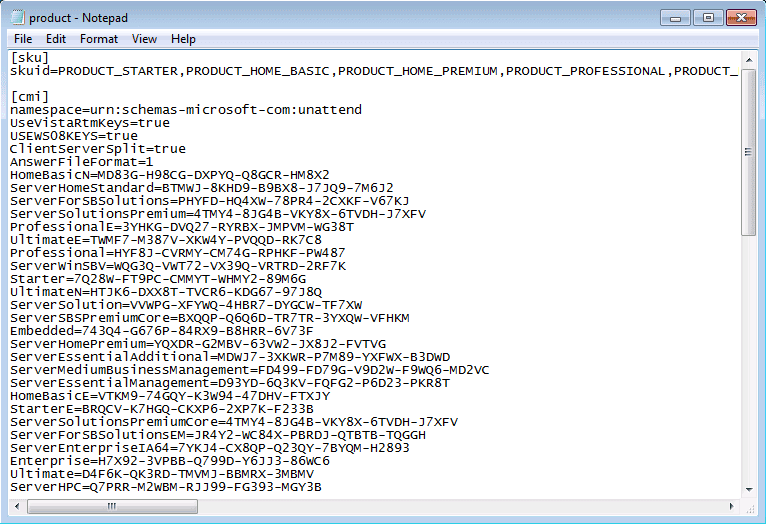 As you can see, the list (which is identical on a Windows Server 2008 R2 installation DVD), contains many keys that are valid for the various versions of the Windows OS. These keys cannot be used to activate the OS installation, for that you’ll need to obtain a valid and genuine product key that fits the version (or SKU) of the OS that is installed on your computer. Note: I strongly recommend that you manually run a virus scan on these tools, you can never know what else is included in “free” stuff that can be downloaded from so called download repositories… The above link is provided for your reference only.